20" Long. 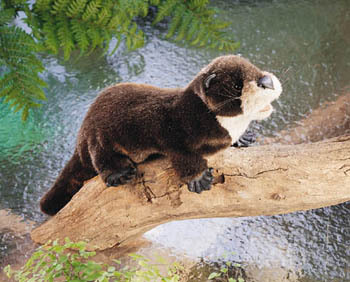 Our joyful river otter squiggles with delight when you work its mouth, head, and tail with the movement of your hands. This two-handed puppet features handsome chestnut fur and detailed webbing on his leathery feet.